Established in 1927, Black Brook was designed by Bertie Way – who also designed The Country Club of Detroit, the Mayfield County Club and the famous South Course at Firestone Country Club in Akron. 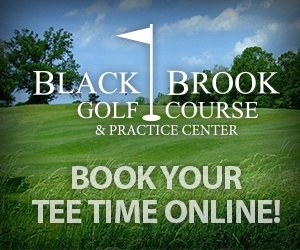 Black Brook Golf Course & Practice Center has been owned and operated by the City of Mentor since 2005. The 18th hole was selected as one of News Channel 5’s Dream 18, the Plain Dealer’s Elite 18, and the course was voted one of the Best Places to Play by Golf Digest magazine. Black Brook Golf Course & Practice Center has been named the “Best of the Best” in the golf course category by readers of The News-Herald four times! We invite you to try our new practice center which features target greens, sand bunkers and a 1½ acre natural grass tee area. A round of golf is a great way spend time with the kids and introduce them to the game. Juniors play FREE when accompanied by a paying adult anytime Monday’s, Tuesday’s, and Thursday’s, and weekends/holiday’s after 3 pm. Each Thursday morning, over 100 juniors tee up for 9 or 18 holes in a our Junior Golf Program which includes instruction from our professional staff. Senior rates are available for those 60 and over. Tee times can be booked one week in advance. Permanent weekend times can be booked upon request and are subject to availability. Groups of 20 or more may reserve times well in advance of intended play date and are encouraged to book as early as possible. Black Brook has a variety of leagues with different skill levels which are accepting new members. Instructional programs are available for all ages and skill levels. Call for details. Outings at Black Brook include lunch or dinner served at our Pavilion, overlooking our famous 18th hole. Our dinner selection offers you a choice of New York Strip Steak or Grilled Boneless Chicken Breast. Both dinners are served with a choice of sides, salad, rolls and butter. Our lunch menu features a cookout grill option with your choice of grilled sausage, handmade burgers, grilled chicken with sides. You can also choose from a generous deli tray or plump quarter-pound hot dog & chips. In addition to beverages served with your meals, Black Brook can provide a beverage cart for your use on the course. We stock a great selection of beer and soft drinks for your enjoyment. A discount is offered for groups of 50 or more. Save 10% Monday through Thursday with a cart and 5% on Friday through Sunday.